Ok, maybe this is not so much guerilla activism as it is incognito mischievousness...but it's all to the same end. 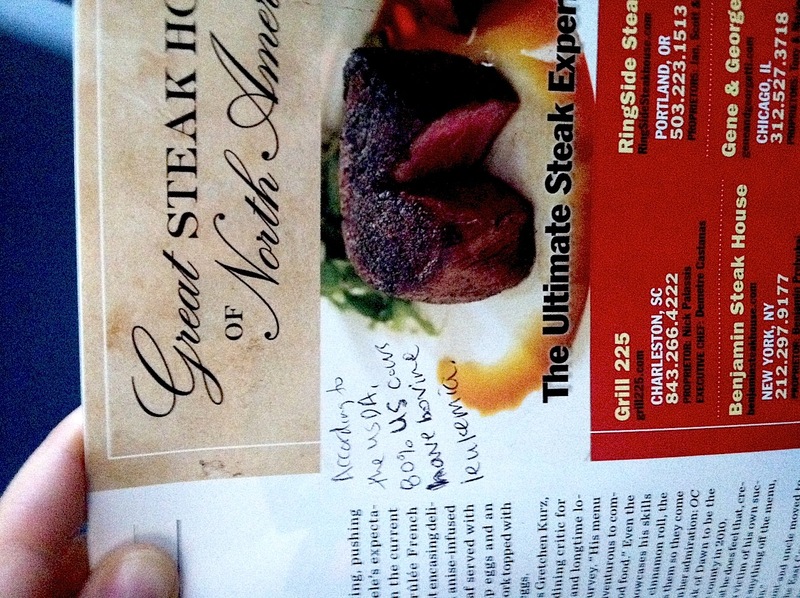 Whenever I am aboard a plane, I like to leave some facts for the next passenger reading the inflight magazine, which is always full of ads for glorious meats and the "ultimate dining" (dying?) experience. I hope this gives you some ideas. Hint: you can get free flyers and printouts here and here.